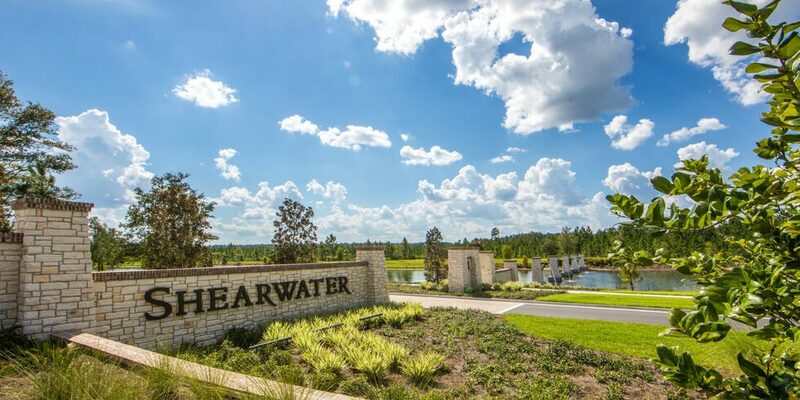 Since opening in 2015, Shearwater has become one of the fastest-growing communities in St. Johns County. With Phase II already underway, Shearwater will soon feature a brand-new neighborhood with a variety of lot sizes and a new builder, as well as new amenities for current and future residents to enjoy, including a dog park and community garden. The Falls neighborhood will provide residents with an abundance of new amenities to explore. Falls Park will be Shearwater’s most expansive park with a lake overlook pavilion, shaded picnic pavilion and event lawn that will be ideal for gathering with family and friends. Shearwater’s youngest residents will love the new tot lot, and furry family members will never get tired of visiting the new dog park. New trail systems will wind through a series of ponds and connect to Shearwater’s existing 15 miles of trails, providing even more opportunities to exercise and connect with nature. And just steps away, a community garden will give residents the chance to try out their green thumb and grow their own fresh herbs and vegetables. Also joining The Falls is Shearwater’s newest builder, Dream Finders Homes. Dream Finders Homes strives to offer homebuyers the highest quality homes at affordable prices. Dream Finders Homes is offering homes on 50-foot lots that range in size from 1,862 to 2,952 square feet. Starting from the $270,000s, homes feature two to four bedrooms and two to four bathrooms. David Weekley Homes is also expanding into The Falls neighborhood with their popular Coastal Cottage Homes on 40-foot lots. These homes range in size from 1,639 to 2,374 square feet with three to five bedrooms and two to three bathrooms, starting in the $250,000s. Interested in learning more about the future of Shearwater? Visit the Kayak Club Monday – Friday from 8am – 6pm, Saturdays 10am – 6pm and Sundays 12pm – 5pm, or join our Interest List to always stay on top of Shearwater news.